Brief: Convince the millennials in a large cosmopolitan city to consider Singapore for their next holiday – using outdoor media. The product? Singapore. Insight: Nearly 40% of millennials in England visited a concert last year, and music and concerts are something that attracts millennials when considering different destinations. 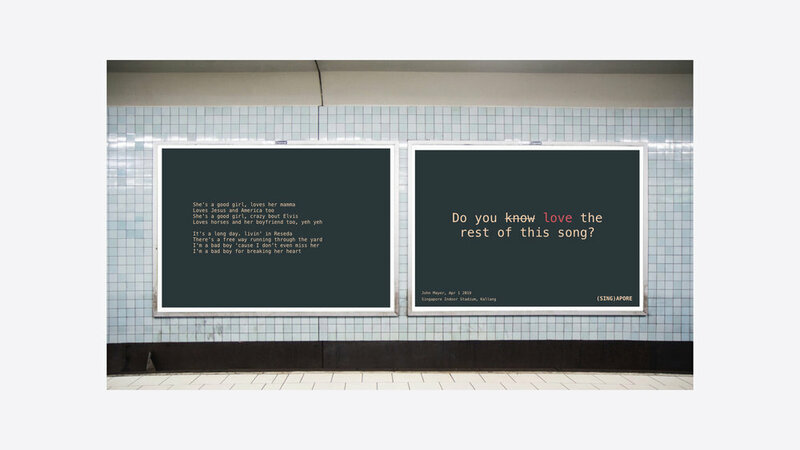 Billboards in London with lyrics from artists and their upcoming concerts in Singapore.